Are you looking into buying real estate in Hawaii? Perhaps you are a seasoned investor or homebuyer. 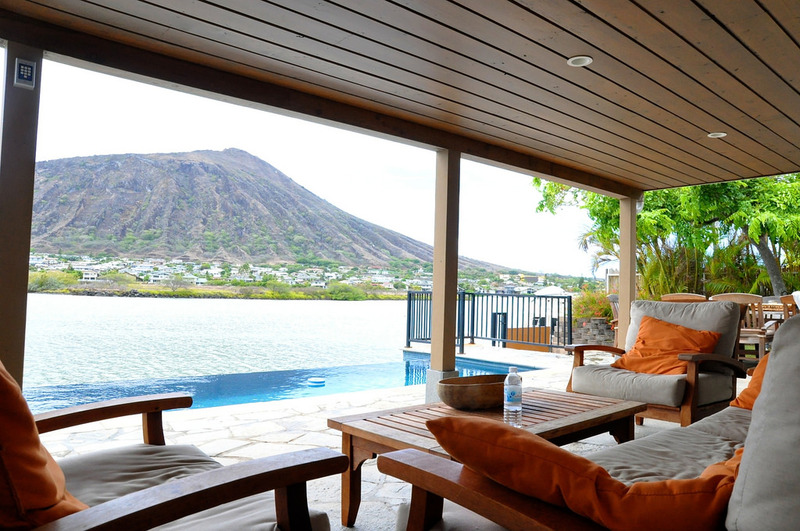 Hopefully you have had the opportunity to visit Hawaii and research the real estate market before delving in. Maybe you’ve already found a fairly priced home and are already working through the process of closing. Hold tight before closing any deals! Buying real estate in Hawaii is not like buying real estate in other areas of the United States. There are several factors that impact the cost of real estate in Hawaii that don’t exist on the mainland. Susceptibility to lava flows, elevation, and land ownership may all affect the prices of Hawaii homes. Read on to learn about factors unique to the Big Island that you absolutely must consider before buying real estate in Hawaii. Buying real estate in Hawaii may feel like a foreign process even for experienced buyers and investors. That’s because the clear-cut line between private and public property, one that is quite black-and-white in most areas of the United States, is not so clear in the state of Hawaii. Most mainland real estate is sold as fee simple, meaning that the buyer has complete and exclusive ownership of the property. When he or she dies, the buyer has the right to pass on the property as the holder of the property title. Buying real estate in Hawaii might not mean buying a fee simple property, though. The State of Hawaii and the Federal Government together own the majority of Hawaiian land. To the surprise of mainland buyers, Kamehameha Schools is actually the third largest landholder in Hawaii. Kamehameha Schools leases the land to agriculturalists for predetermined periods but does not transfer ownership to the tenant. If you find a cheap home that seems too good to be true, do your research. It may be cheap because it was built on leased land. The State of Hawaii stipulates that you cannot close on a deal until your money is in the hands of a title company. In other words, Hawaii is a “Good Funds” state. If you are transferring money from a mainland bank, it can take up to five days for the funds to actually reach the title company. And the mainland bank will not wire the money until the date of closing, prolonging the closing process. If you are looking for a quick closing, look into obtaining a mortgage from a local Hawaiian bank, which could wire your funds quicker. The “threat” of lava is not immediate in most areas of the Big Island of Hawaii. But if you’re looking into buying real estate in Hawaii, you definitely want to familiarize yourself with the lava zoning system. There are several volcanoes in Hawaii. Some have been dormant for thousands of years, while others, namely Kilauea, remain active to this day. It is said that Mauna Loa, one of the largest volcanoes in the world, is overdo for eruption. As we saw in May of 2018 in the wake of the Kilauea eruption, volcanic activity poses a catastrophic threat to your home. Though lava moves slowly, typically allowing time for residents to evacuate safely, it is completely unstoppable. And in the most recent eruption, that resulted in the destruction of over 600 homes! Generally speaking, the lower your lava zone, the more difficult it will be to procure funding. Homes in lava zones 1 or 2, which are predominantly located in the Puna area at the foot of Kilauea, may be unbelievably cheap. But that’s because they are quite literally built on unstable ground. Thus, if you’re buying real estate in Hawaii that is impressively inexpensive, you actually might have a hard time obtaining loan approval. It can be tempting to purchase cheaper homes at lower elevations. They’re closer to roads and town centers; beaches and surfing; and most of the other social and recreational aspects of Hawaii life. You might find yourself wondering how homes at lower elevations could be cheaper considering their convenience. The answer? Energy costs. Energy costs are typically three times the national average in Hawaii, and the highest in the United States. That means it will cost you three times as much to run an air conditioning unit or keep fans on high all day. So what you might stand to save on the cost of a lower elevation home, you are bound to lose in energy costs. And, if you don’t, you are sure to suffer in Kona’s hot, humid, and sunny summers. Instead, consider buying a home at a higher elevation. Depending on your personal preferences, homes at elevations between 1,000 and 2,000 feet tend to be most comfortable. You might even catch a chill at the higher end of that spectrum! You may have to pay a little more for a house at a higher elevation. But your monthly bills will be drastically lower. Plus, many people appreciate the lush landscapes and relative seclusion afforded at higher elevations in areas like Kealakekua and Captain Cook.